Santa Fe history, people, natural resources, infrastructure and production have resulted in the development and diversification of tourism services. 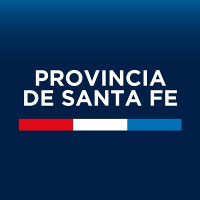 300,118 guest beds across the province, 68% in Rosario, 22% in Santa Fe and 10% in Rafaela. In 2011, 68% of domestic and foreign visitors came to Rosario, 21% to Santa Fe and 11% to Rafaela. Santa Fe shoreline is ideal when you want relax and recreation on the beautiful landscape offered by the Parana River. Fishing expeditions, wildlife photography and horse riding in the islands, relax in the spas, log cabins and natural reserves along the 700 km shore. Immigrants from all over the world have come to the Province and imprinted their traditions and cultura generation after generation. Native traditions and the colorful mixture created by immigration are celebrated across the provincial geography: cotton, wheat, milk, barbecue, strawberry, peanut and cheese have their own loud, popular festival, as well as immigration, horses, cattle branding, the amarillo, island dwellers, horse taming, beer and Swiss folk. True and live evidence of the willingness to care for traditions and history. The Milk Route is a wonderful circuit to discover the largest milk producing region in South America. Rural towns add their lively views and customs to make it a major tourist attraction. The combination of men and environment is reflected in the ranches, inns and pulperias (traditional bars). Furthermore, both cities feature excellent venues for conferences, business meetings, conventions and big sports events or music concerts. Their urban design has shaped two very attractive cities. The Spanish colonization has left indelible cultural marks. The “Old Santa Fe Archeological Site” is the most pristine expression, a must-go place as well as the Camp of Glory in San Lorenzo where General San Martin fought and defeated the Spanish Army. The Tannin Route, in the north of the province, gives visitors the opportunity to learn about the people involved in forestry.